Don’t wait for springtime to do all of your desktop cleaning. To keep your desk tidy year-round, spend a few minutes every Friday tossing or filing old papers and putting loose objects where they belong. 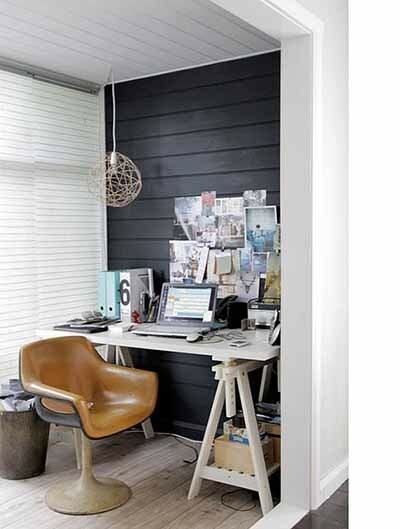 When you’re short on space, a bare wall can be a valuable asset. Consider building up (rather than always extending wide). Simple, easy-to-install floating shelves are a practical way of breaking up a wall painted a bright hue. 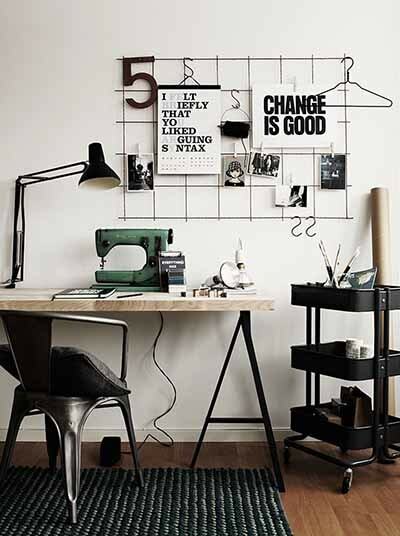 Instead of letting loose papers flutter around your space, keep a board of all the odds and ends that inspire you. A bulletin board is also a great place to pin small details you might otherwise lose like photographs and business cards. 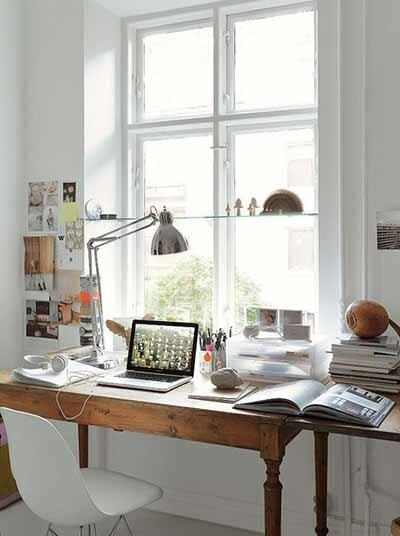 Choosing a space near the window is always a good idea. 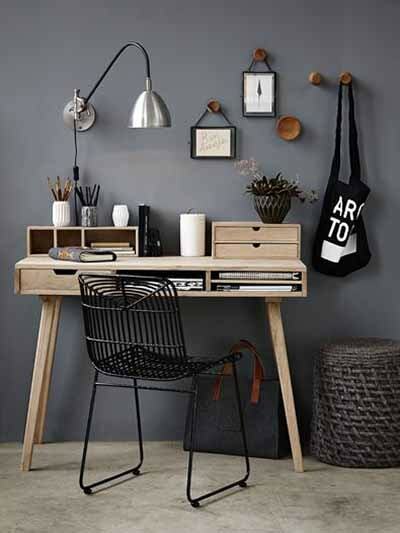 Natural light is always a great addition to any workspace. 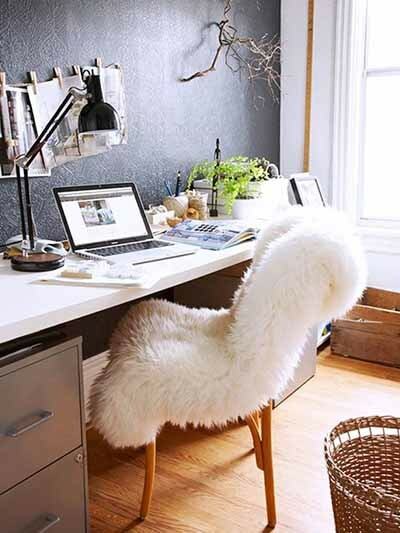 The most important thing is to get a comfortable office chair! Find one that looks and feel great! 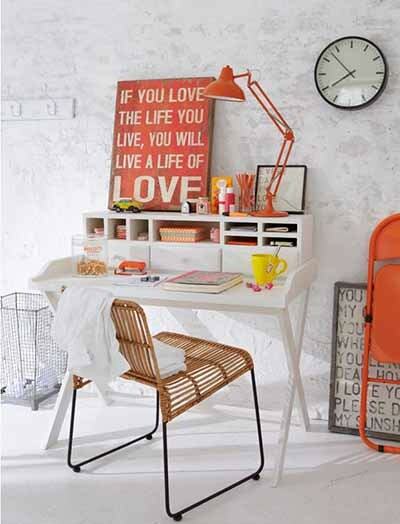 Add photographs, posters and the stuff you love. 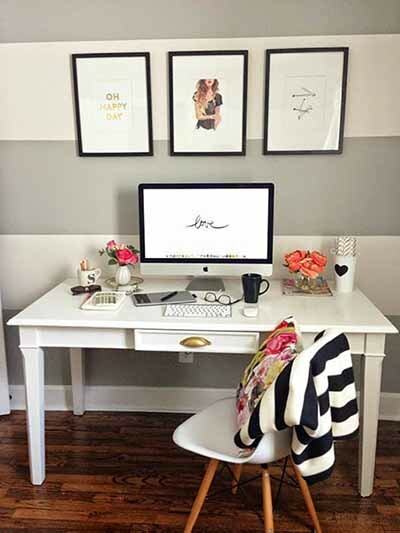 Turn a guest bedroom into a dual-purpose space that can accommodate overnight guests and also work as an office.